Complete with supplies for 50 servings. 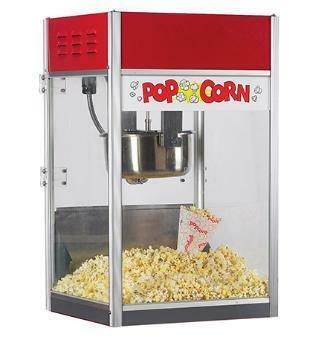 Pop Your way to fun and excitment with out popcorn machine. This unit comes with supplies for about 50 servings. Add this to your bounce house rental to make your party one ot enjoy. With our delicious popcorn that will satisfy everyone. The popcorn we supply is from Gold Medal and is Kosher.